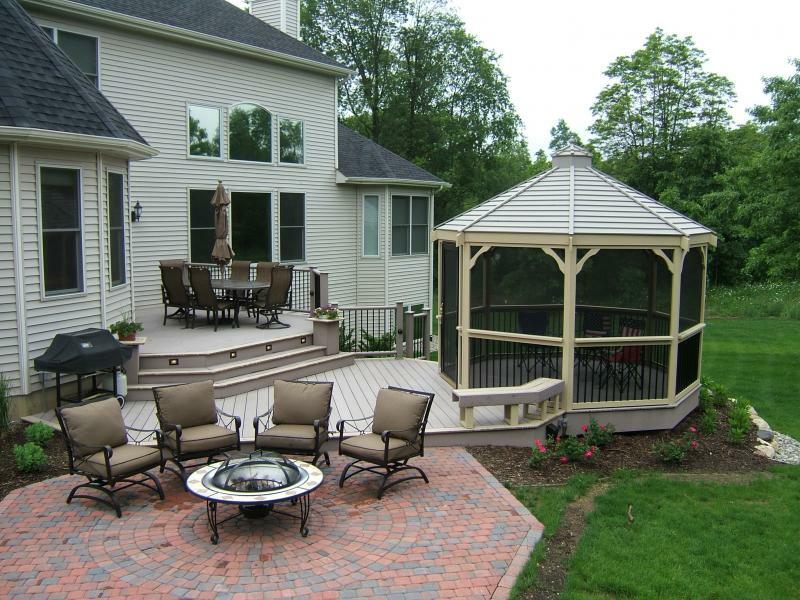 ... creating beautiful backyards and more ... for over 30 years ! 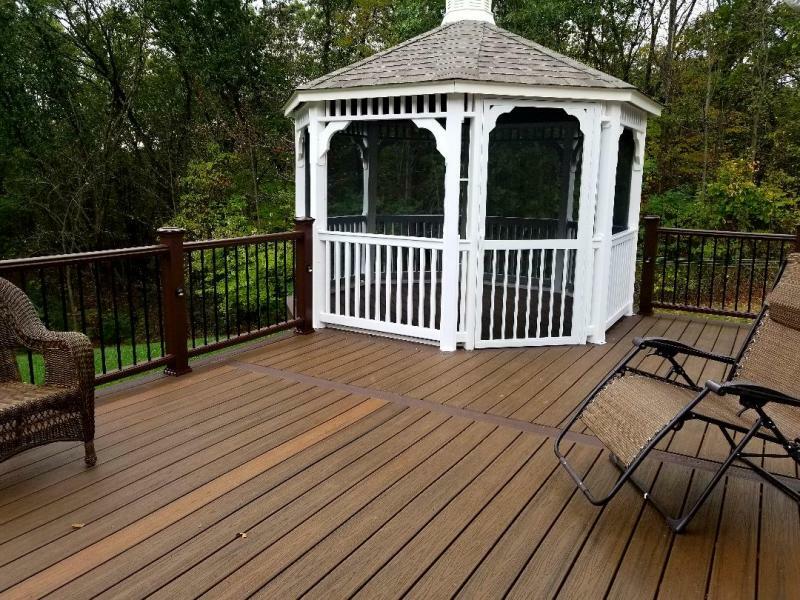 Just the same as we build our decks, we will "custom design" and build a patio that's just right for your home. 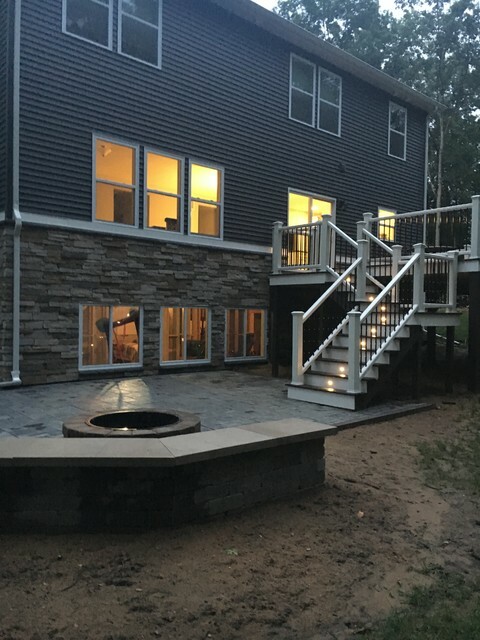 We pride ourselves on our installation procedures - utilizing recycled materials for our base to create a more stable patio area for you. We use several different patio paving products....... there's sure to be one that's right for you. 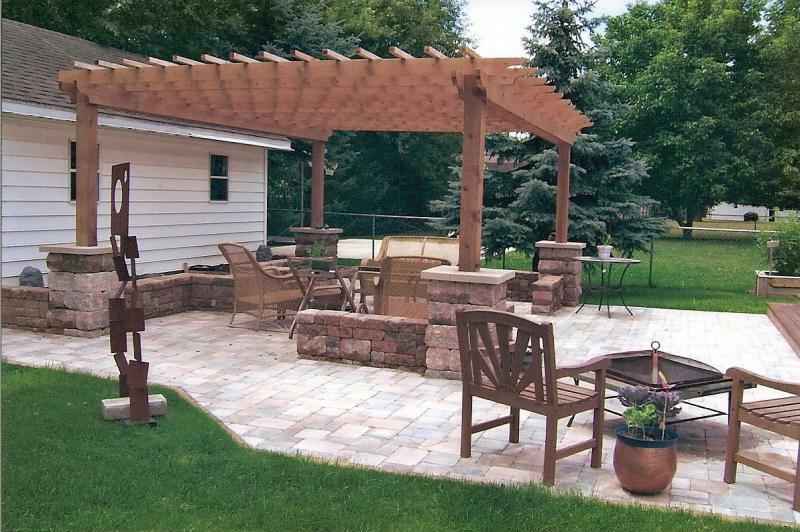 This free-form paver patio took the place of a plain concrete slab. 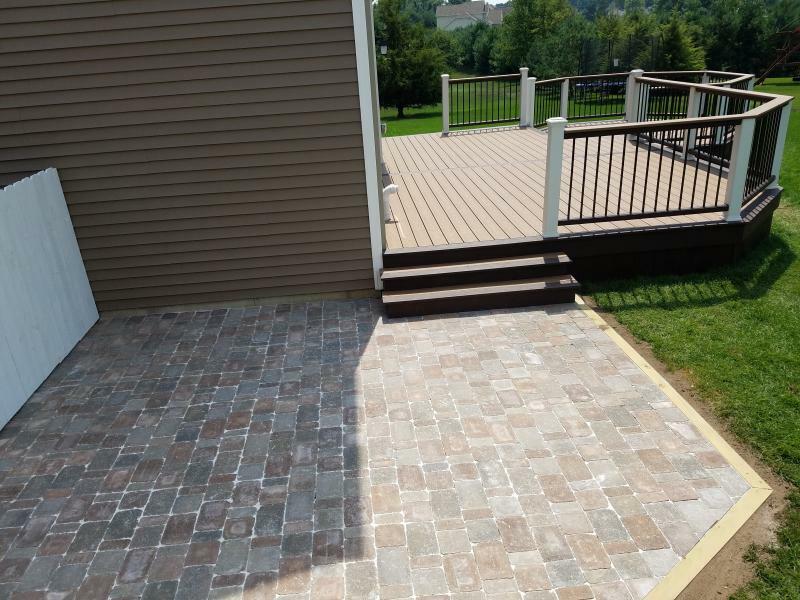 Below the Unilock "Richcliff" raised patio w/Enduracolor will give a long lasting patio to its homeowners. 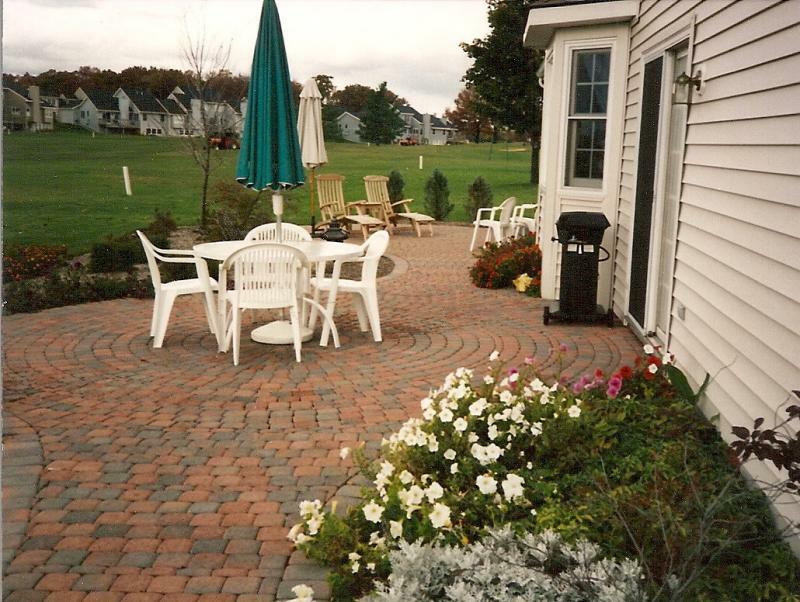 We have many pavers styles and colors to choose from. 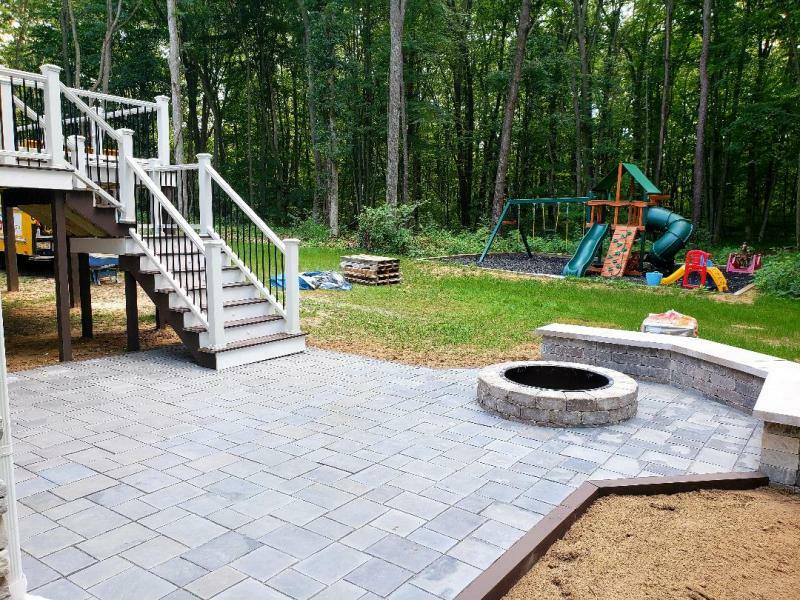 This TREX deck and paver patio combo is just one of many where we combine our projects. 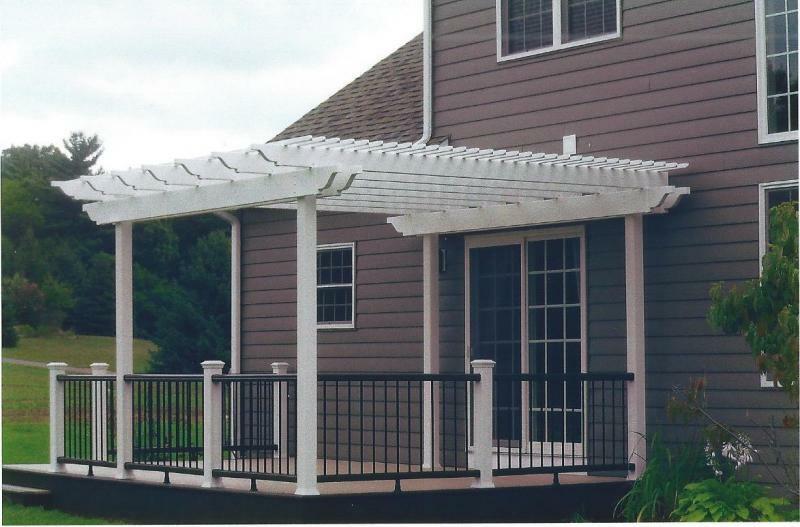 We can design a pergola to give filtered shade over your paver patio. 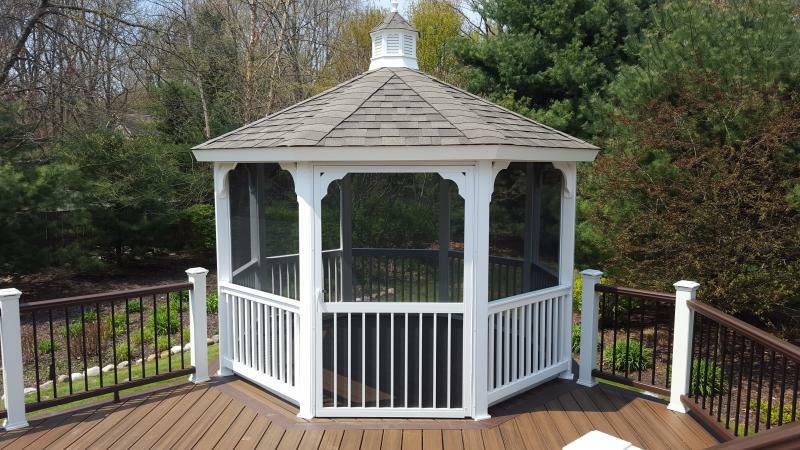 We offer a screened gazebo for bug-free outdoor comfort and entertaining. 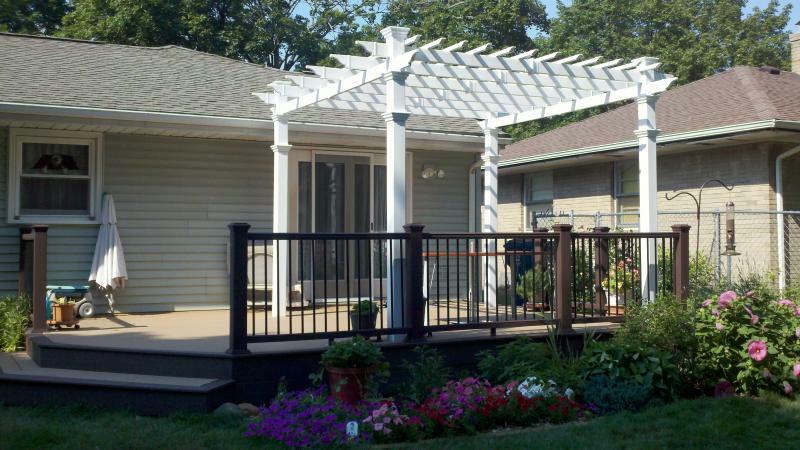 Here are some of the projects where we combined decking and patios with a pergola or gazebo. Copyright 2010 custom design group. All rights reserved.